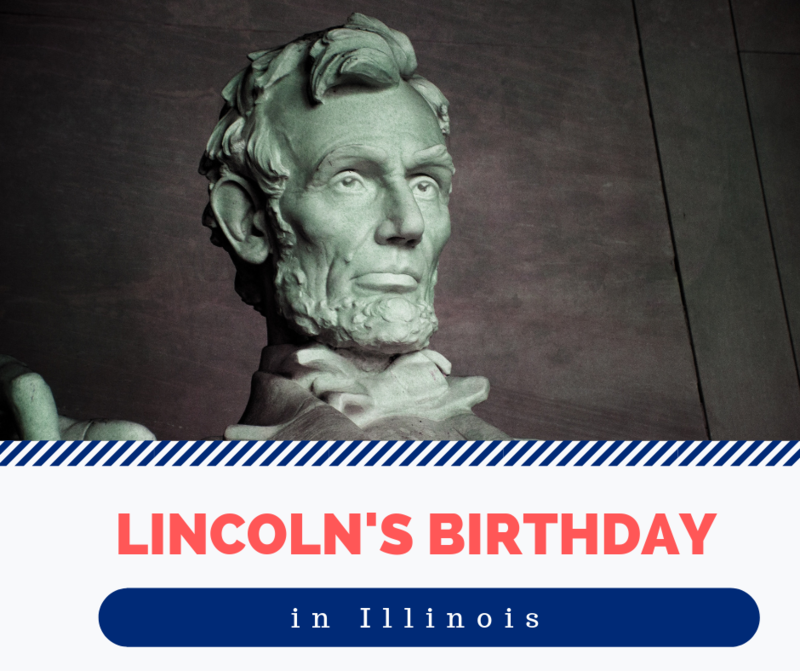 Did you know Abraham Lincoln’s birthday is an official State of Illinois holiday? When I was a kid, I remember Presidents Day wasn’t celebrated in the state of Illinois. No, in the Land of Lincoln, school was closed to honor Honest Abe’s birthday on February 12. For the most part, that practice has gone the way of the ditto machine. According to a Chicago Tribune columnist, so many school districts had requested waivers for the day that the state dropped the requirement. Presidents Day — which is actually the observance of George Washington’s birthday — was declared a federal holiday in 1879 and moved to the third Monday in February in 1968. The state of Illinois still “observes” Lincoln’s birthday as a holiday. In some pockets around the state — especially Springfield and Chicago — there are significant closings of state offices, courthouses and more. The DMV, aka the Illinois Secretary of State Facility in Champaign, Rantoul, Monticello, and Tuscola (as well as the rest of the offices all over the state) will be closed. In addition, the DMV will be closed on Saturday, Feb. 16, in honor of Washington’s birthday. (The Secretary of State Facilities are always closed on Mondays). So if you need a drivers license, a state ID, license plates, or any other vehicle-related services provided by the Illinois Secretary of State, plan that you might need to wait – or go early. After all, this is the Land of Lincoln.